The Moto G is one of the most popular smartphones from Motorola in recent memory. Largely due to its price and the performance you get for that price. The Moto G 2015 was announced on Tuesday in New York City (Motorola also had events in Sao Paulo and London though), and we’ve been using one ever since. While the Moto G is usually seen as the “little brother” to the Moto X, and has actually gotten a few features over the years from the Moto X. Some of those are the gestures we’ll be taking a look at today. Gestures have become pretty popular with smartphone makers as of late. There are all kinds of gestures that Samsung, LG, HTC, Motorola and many others use. However, Motorola pretty much keeps it minimal, however. There are only really two gestures here on the Moto G 2015. One we’ve had for a while, dating back to the original Moto X in 2013. And that would be the double twist to launch the camera. That one is here on the Moto G 2015, and does appear to work very well on this device. 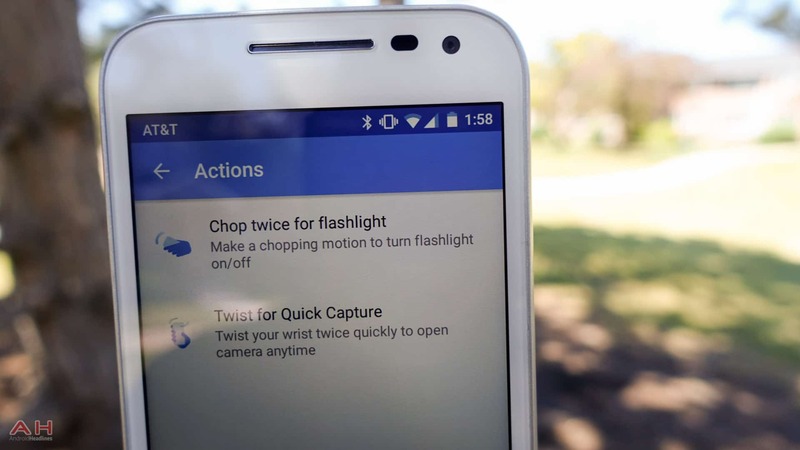 Motorola has added a new one (or at least, I don’t remember seeing this on the Moto X and Moto G last year), where you can do a chopping motion to turn on the flashlight and turn it off. This probably isn’t your favorite gesture, and is a bit weird to do, but the fact here is that it works and works well. Just perform a double chop motion and the Moto G 2015 will vibrate and turn on the flashlight, do it again and it’ll vibrate and turn off the flashlight. The flashlight is also pretty bright, using both of the LED flashes on the back of the device. So it should definitely help you out when you’re in the dark. The reason for this gesture for the flashlight on the Moto G, is to make it easier for people to turn on the flashlight. So you don’t need to take off gloves or anything like that, which is actually a really nice feature to have. Especially when you look at the target audience for this smartphone. The post A Closer Look: Gestures on the Moto G 2015 appeared first on AndroidHeadlines.com |.